Before buying a new TV you should, of course, determine what this has to offer. Quickly you come across HDR – a term that we examined some time ago in its individual components. When recorded in the video signal, the corresponding information is encoded and then sent to an HDR-enabled television. While the information is hidden from a non-HDR-enabled device, an HDR-ready TV can image the images. The result is natural and as true to the original images with extended dynamic range. Incidentally, the previous range of contrast is called SDR (Standard Dynamic Range). Since HDR includes many different formats, we present them below. The fundamental difference is that how the image information is mastered before it can be transferred to the television. Currently, two formats have prevailed. One is HDR-10 (short for HDR-10 Media Profile). This is the most widely used format, due to the fact that it is freely accessible and thus can be implemented by any manufacturer without license fees. 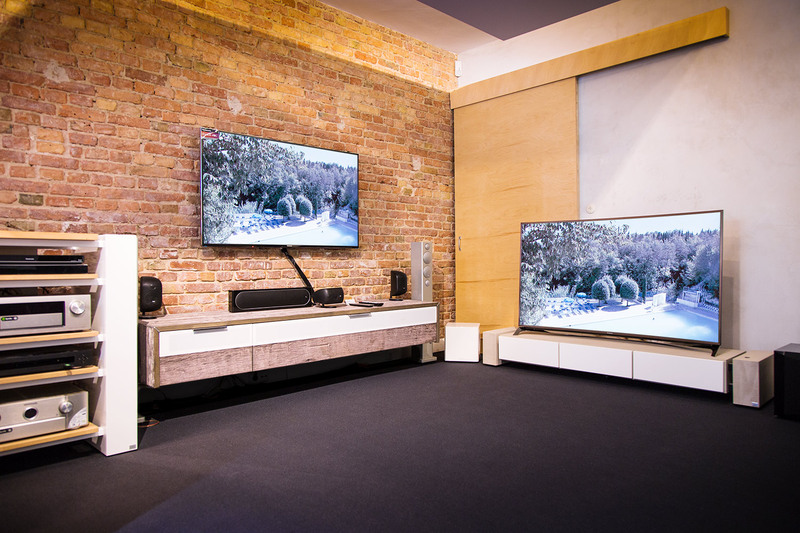 HDR-10 was developed in 2015 by leading TV manufacturers. A TV that supports this format has up to 1024 brightness levels. That’s 10 bits. Thus, the image content from white to black are displayed in high contrast. From a technical point of view, all current HDR Blu-ray HDR-10 discs. Furthermore, the HDR-10 format is supported by streaming portals such as Netflix and Amazon Video. The other widely used HDR format is Dolby Vision. Also in 2015, Dolby Labs (already known by Dolby Vision) developed a proprietary format that is mastered at a higher standard than HDR-10. Dolby Vision displays up to 4096 brightness levels, equivalent to 12 bits. It is significant that the image content is displayed with high brightness, high contrast, and brilliant color output. Dolby Vision is based on the PQ curve (see below), thus supporting their contrast range and is compatible with SDR. It offers good HDR quality but is not backward compatible with Ultra HD TVs that can only use SDR. Since it is not freely accessible, Dolby Vision is not quite as common as HDR-10, but Netflix is one of the providers supporting the service. Likewise, all LG OLEDs have both HDR-10 and Dolby Vision. Hybrid-Log Gamma (HLG) is a license-free HDR format, which primarily describes a new HDR transmission path: It was specially developed for the broadcasting of cable and satellite programs. The goal is therefore to broadcast the content of various streaming portals and HDR content via cable in the best possible quality. The advantage of HLG is that content metadata can be created to be played in both standard dynamic range (SDR) and HDR. This format was developed by the British BBC and the Japanese broadcaster NHK. HDR10 + or HDR10 Plus is a format of Samsung and Amazon Video. The format was developed as a contrast to Dolby Vision, unlike the HDR10 + is however license-free. Only an administrative contribution has to be paid. In principle, it extends HRD-10, which includes static metadata, to dynamic metadata. This means that the supporting devices (ie UHD TVs, Blu-ray players and compatible set-top boxes) can dynamically adjust the brightness, color and contrast of the image content from scene to scene. Based on Samsung’s SMPTE ST 2094-40 transfer function, HDR-10 can be upgraded to HDR10 +. Currently, the Technicolor HDR format is only used in Europe. The goal is to use this format, for example, to play HDR content on SDR-enabled devices. SMPTE has released a Perceptual Quantizer (PQ) under the name SMPTE ST-2084. It is a transfer function that transmits HDR with significantly more brightness and color information. Furthermore, it can be used with the color space Rec. 2020. PQ is a non-linear transfer function (EOTF – electro-optical transfer function). SL-HDR1 ist ein HDR-Standard, der in Gemeinschaftsarbeit von STMicroelectronics, Philips International B.V., CableLabs und Technicolor R&D France entwickelt wurde. Da SL-HDR1 fixe und dynamische Metadaten verwendet, um ein HDR-Signal von einem SDR-Signal zu rekonstruieren, ist es abwärtskompatibel. Since we were just with fixed and dynamic metadata, the question arises, what exactly is this actually. While dynamic HDR techniques define the movie scene by scene or even per frame, static HDR techniques (such as PQ) set the basic brightness, contrast, and gamma settings for the entire movie. Both HDR10 + and Dolby Vision are based on the PQ format and are enhanced with dynamic metadata. In addition, they are backward compatible with current SDR TV sets. It is conceivable that further HDR methods will be developed, which will expand the standardization of HDR. Conversely, this would entail a steady adaptation of the HDMI interface. Most players support HDR-10 or Dolby Vision – a look at the datasheet will help you figure out if your device has an 8, 10, or 12-bit panel. So far, it has emerged that both HDR formats can co-exist. So if you want to play most of the HDR content, you should buy a TV set that combines both. According to the latest information Panasonic, 20th Century Fox, and Samsung begin licensing HDR10 +. Once this is freely available, the technology will be integrated into upcoming Ultra HD movie releases, a variety of TVs, Ultra HD Blu-ray players and other devices. Samsung’s 2017 UHD and QLED devices are already among those capable of playing content with HDR10 +. Panasonic, in turn, plans to introduce HDR10 + support in the 2017 4K Pro series with a software update. All 4K televisions released by Panasonic this year are supposed to be directly HDR10 + capable. Philips also plans to integrate this year, and there may also be a firmware update for the previous year. With HDMI 2.1, HDR10 + integration is also expected for the Ultra HD Blu-ray. As expected, a lot is happening in this area and HDR10 + should not be underestimated!